As part of the genre-celebrating Fantastic Fest lineup, “A Dark Song” fills the niche of slow-burn film with a basis in religion and the occult. The movie opens with a verse from Psalms 91, setting the tone from the beginning. Less than 30 minutes into the film, we find out our protagonist Sophia (Catherine Walker) is Catholic-but this is not an exorcism movie, which sets it apart. This directorial debut of Irish/Welsh filmmaker Liam Gavin introduces us to Sophia as she speaks with a realtor to find a house that fits certain specifications, including mention of a room that faces west. Once she decides to lease the house, which is large, looming and castle-like, we meet the other of our two main characters, Joseph (Steve Oram). He is an expert occultist who Sophia wants to hire to help her perform a ritual. They walk through the house together to see if it is up to his standards; there is no heating but otherwise he seems to approve of the setting. Sophia originally claims that she wants to perform the invocation for a case of unrequited love-that she needs to win back the love of someone who left her. Joseph refuses to help her in the case, until she offers him a much larger sum of money and reveals the true reason behind the ritual: her young son died and she’d like to speak with him again. In order to perform the ritual, Sophia needs to cleanse and purify herself. She confirms to Joseph that she has restricted her diet and eating habits, abstained from alcohol, practiced abstinence and even limits her sleeping time. Joseph reveals that they will remain in the house for six to eight months to complete the invocation, and neither of them can stop the ritual once it’s started, nor can they leave the house. He surrounds the building in a circle of salt and tells her not to break it or walk outside of it. “A Dark Song” is interesting in that it isn’t particularly dark or foreboding in its cinematography. There are several shots of Sophia in a wide-open field and the settings don’t shy away from bright colors or natural light. However, there is a juxtaposition of darkness and light in several scenes, like one in which Sophia is walking through a beautiful field and happens upon a long-dead dog carcass. Joseph sets up each room for a different part of the ritual, which in the end is meant to bring about Sophia’s guardian angel to grant her what she wants. Much of the film shows us parts of the ritual and what each of them must go through to properly perform it, as there is pain for both Sophia and Joseph. Both of the film’s actors are great. Catherine Walker has a lot of material to work with and pulls it off every time. She shows a range of emotions, from fear and disgust to bewilderment and sadness, without ever seeming overdone. Throughout “A Dark Song,” we do get to see implications that the invocation is working-doors open on their own, a blackbird flies into the window of the house and an action figure belonging to Sophia’s late son goes missing. From the very beginning, music is used to great effect in setting the tone for each scene. It swells in and out, with both the music itself and its volume telling you just how the characters feel in any given moment. While there is a sense of dread built throughout the film, no real horror happens until about the last 30 minutes of the film. During that time, the action and suspense both ramp up. There is grotesque imagery and even a few jump scares, though they don’t feel cheap. Though there are religious overtones to the whole film, it doesn’t necessarily take a stance on religion or the occult, but would rather tell a grounded human story that involves those factors and stays neutral. “A Dark Song” is an interesting film that presents viewers with a few small twists and doesn’t feel like it uses tired tropes, instead opting to do something different in the religious and paranormal subgenres. Originally hailing from Pennsylvania, Jackie has called Austin home since choosing to attend the University of Texas, where she graduated with a degree in multimedia journalism. 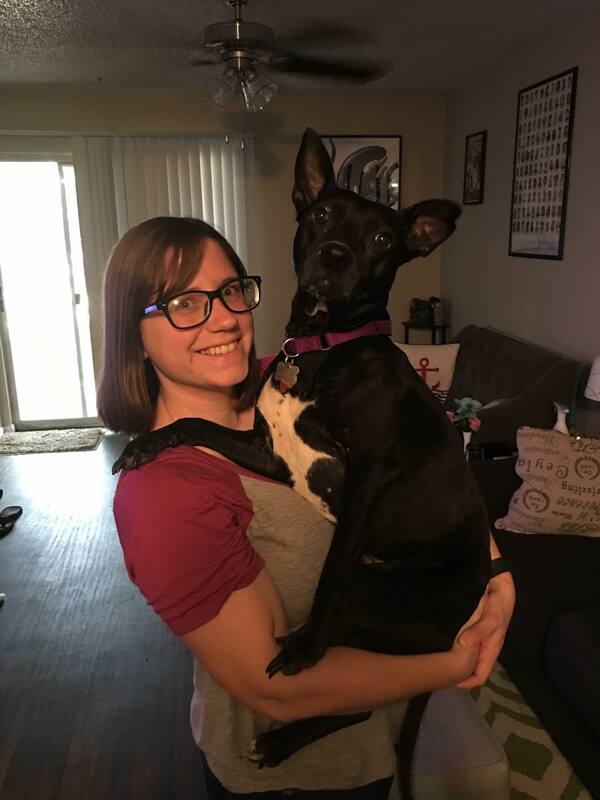 She loves spending time with her dog, writing about pop culture in all its forms and spending time with friends – eating, drinking and doing trivia. You can follow Jackie on Twitter and Instagram. Don’t forget to follow Shuffle Online on Twitter, Instagram, Facebook and Snapchat @ShuffleOnline!